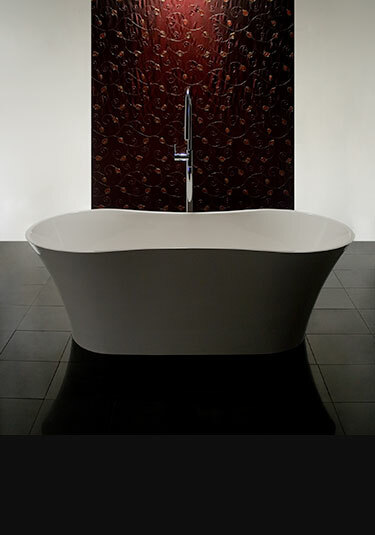 Please view our beautiful range of designer baths shown in the latest and exclusive bath designs. These luxury freestanding baths are the best quality in the UK, made in solid stone resin which is the material required by the best bathrooms as well as wood and natural stone. 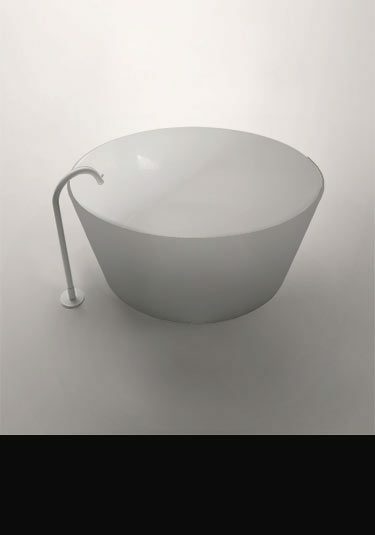 These stand alone baths are supplied in industry white with the option to special order to be supplied in the outside colours of red, cream and black and bespoke client preferred colours. If you require a freestanding spa bath, we can do it. We offer a 16 air jets spa system with remote control, again to special order. 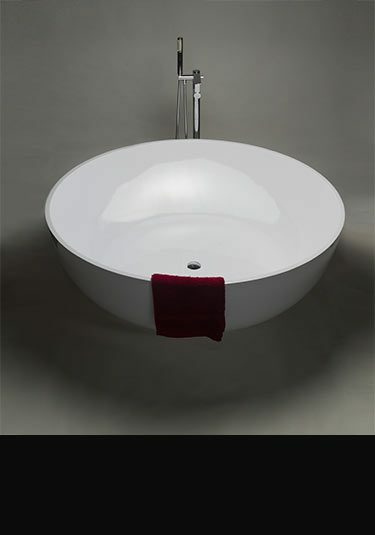 We also offer matching basins for many of the bath designs. This high quality square bath is a contemporary version of the Japanese square styled bath. Manufactured and designed in the UK in a thick rigid fibre resin. The Cleo stand alone bath is supplied in white from stock with cream, red and black baths available to special order within 3 to 4 weeks. Being an egg shaped this freestanding bath gives 2 bathing experiences, being more upright on the wider end and a more relaxing soaking position on the narrow end. Air jet spa systems also available. This small 1600 freestanding bath is surprisingly big bath due to its large internal dimensions and upright styling. 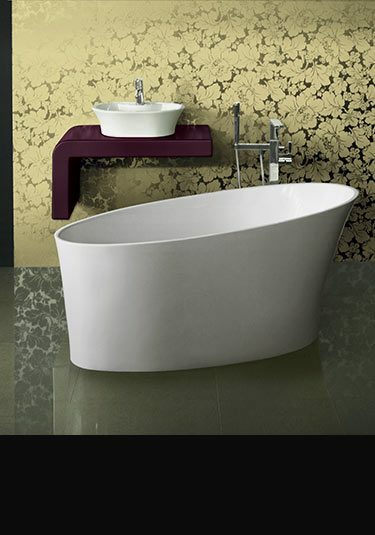 Made in stone mineral resin with a choice of colour outer finishes, this bath has proved popular for deep soaking. Under normal circumstances white designer baths are supplied from stock for a quick delivery, with coloured baths and 16 jet air spa system baths available to special order within 3 to 4 weeks. Designer styling with stone resin quality, this contemporary freestanding bath is a luxury design feature for high quality bathrooms. Supplied in gloss white with coloured bath and 16 jet air jet spa system options, this stand alone bath is only 1650mm long and suitable for bath small and large bathrooms. 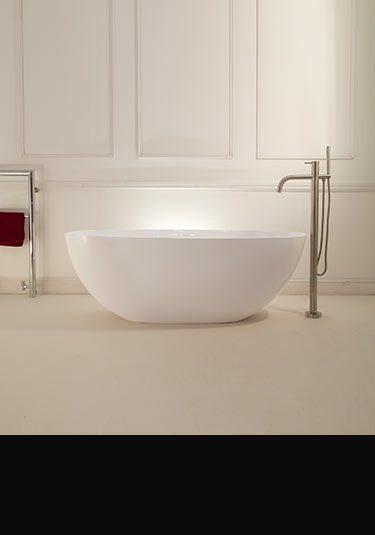 The Kloodo is a large freestanding bath designed as a feature for a floor standing installation. Each stand alone bath is made in gloss white stone mineral resin with the option of colours and air spa jet systems also supplied to special order. This bath is luxury quality in a beautiful contemporary style. 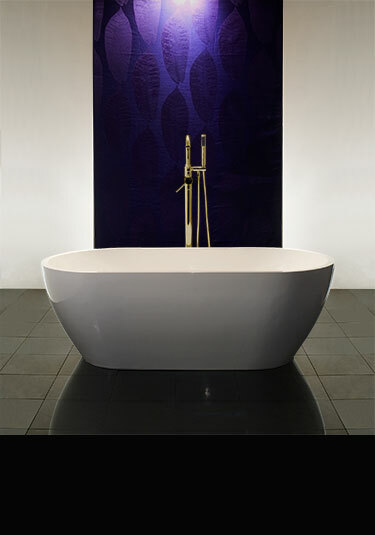 This large freestanding bath is an ultra-modern slipper bath style. 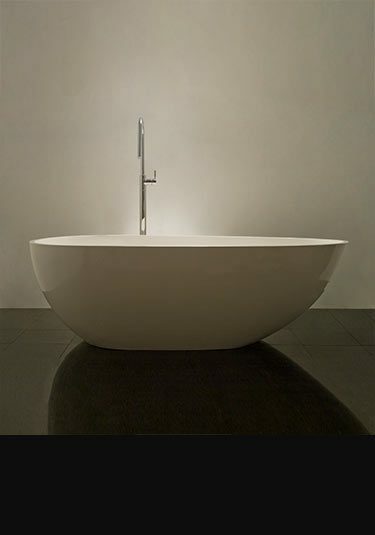 The ultimate luxury bathtub, the New Moon is very spacious internally. A double ended bath in a classical style. This stone resin bath makes a beautiful design feature to any stylish bathroom. 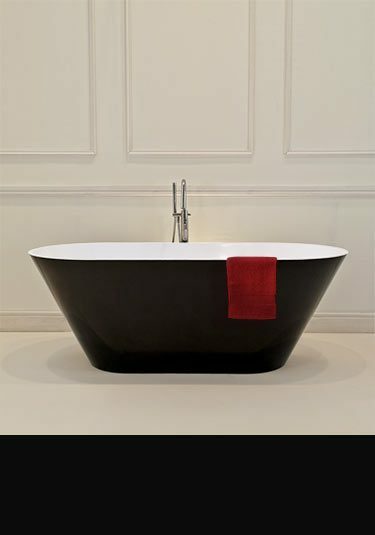 A coloured freestanding bath that is black on the outside with a white on the inside. 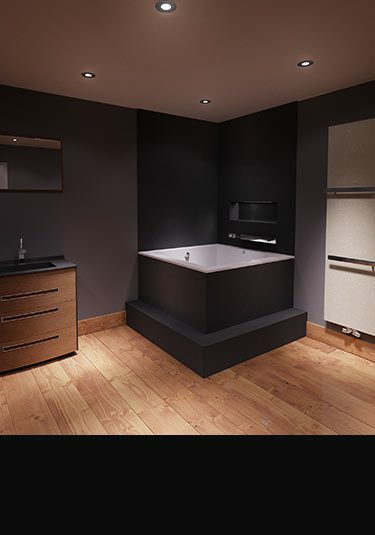 This black bath is a unique design theme to any bathroom and can be supplied to match with our Lulu Black bathroom suite collection. Manufactured in high quality stone resin. A contemporary styled Japanese bath designed for relaxed deep soaking. 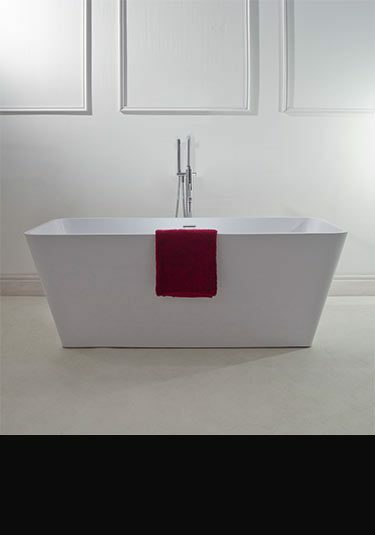 This 1200mm square bath is made in Britain and very good quality. 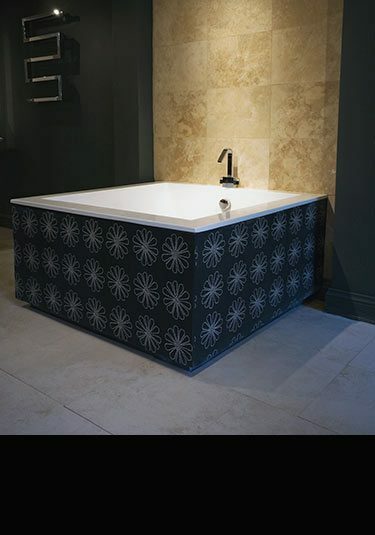 The Vogue stand alone bath is made in rigid stone resin and extremely comfortable, as well as being stylish in design. This bath is also available with an air spa system, which is unique for a freestanding bath. Also available in white and in colours including red, black, cream and bespoke colours. 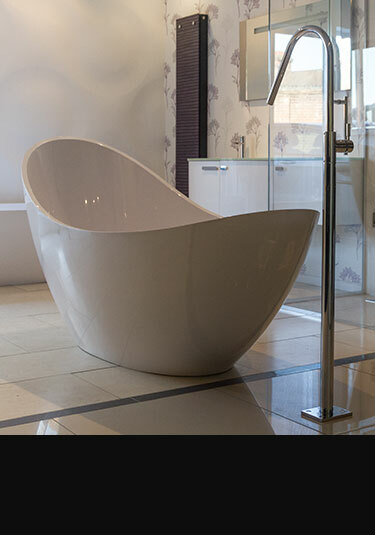 This beautifully proportioned luxury bath is egg shaped and ideal comfortable lounging. 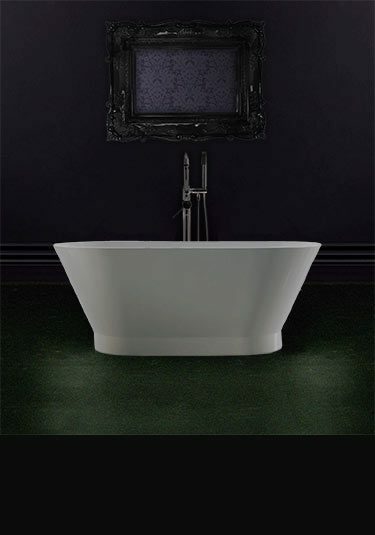 Made in superior stone resin this freestanding bath is luxury quality with beautiful styling. 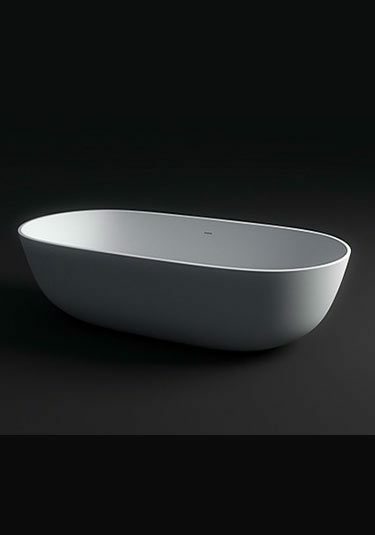 Available in white we can also supply the bath with a coloured outside and also offer an exclusive air spa system for massaging relaxed bathing. 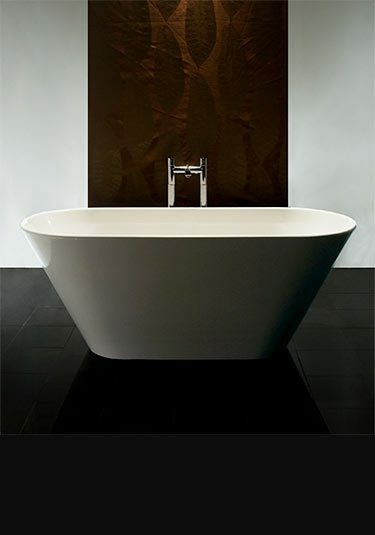 The Beau freestanding bath is only 1600mm long but still has large spacious internal dimensions. 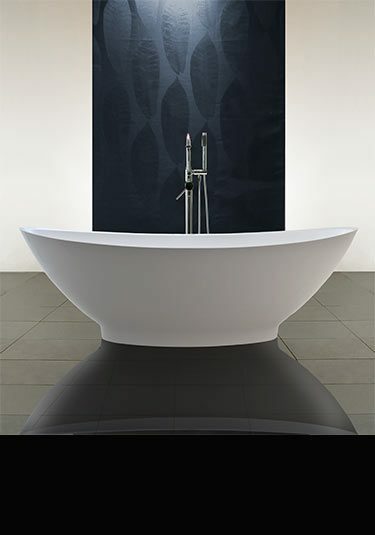 This stand alone bath is styled to be low in height with an attractive tapered top rim. Each bath is available in gloss white with the coloured exterior options of white, cream, red & black with bespoke colours also available. We also offer an exclusive & relaxing 16 jet air spa system as well. This luxury quality freestanding bath is made in rigid stone resin and is surprisingly big on the inside compared to its relatively small outer dimensions. Each stand alone bath is also available with coloured outside finishes including red, black and cream with bespoke bath colours also available. A lovely quality stand alone bath in a pretty delicate styling and made in stone resin. 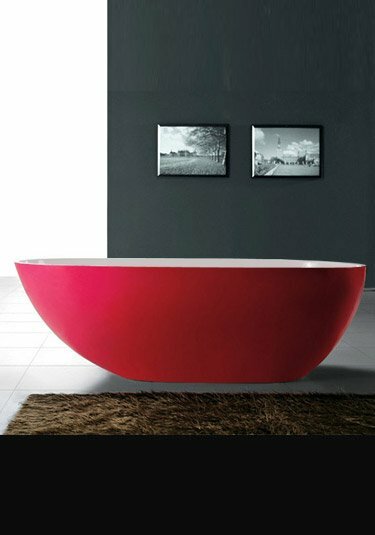 This luxury freestanding bath is supplied in all white and with the coloured outside choices of black, red and cream. We also offer a 16 jet air spa system as an optional extra. A designer bath with 2 bathing experiences. This egg shaped freestanding bath gives a more upright soaking position on the wider end and a more relaxing lying position on the narrow end. A luxury stone resin bath with a lovely fluted rim. 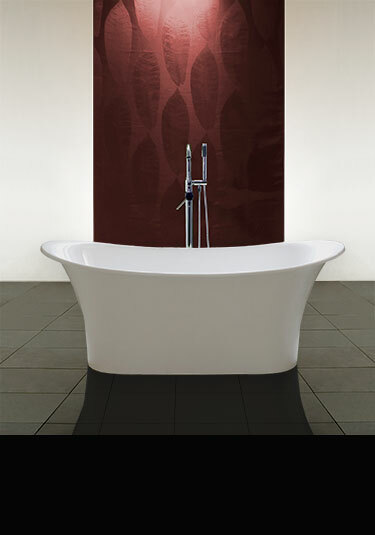 This stand alone bath is very high quality and is ideal for designer bathrooms. This high quality egg shaped floor standing bath is made of mineral resin which easily outperforms acrylic and cast irons baths. 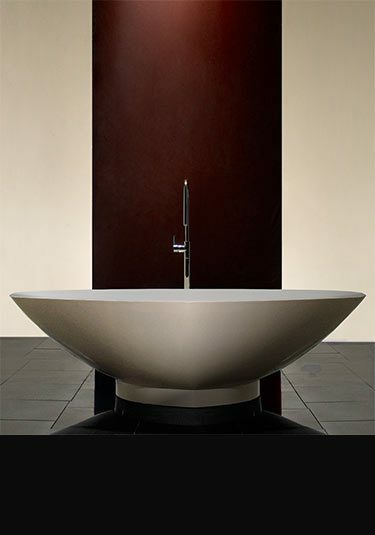 A contemporary styled designer bath that is manufactured in a rigid and solid Cian resin. This stylish round freestanding bath makes a beautiful design feature within an exclusive styled bathroom. Made in superior gloss white stone resin with coloured bath options of black, red and cream with a unique air spa system also available, this circular bath is 1300mm in diameter. Bespoke colours are also available. This large circular bath made in a luxury white stone resin which is available in gloss white and in coloured outer finishes of white, red and black. Each round 1500mm freestanding bath makes a superb central design feature within exclusive bathroom styling and we also offer a unique jet air spa system for bubbly luxury bathing. 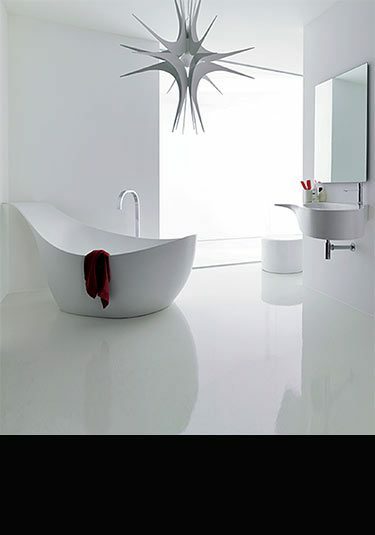 A wonderful designer bath that is also modular with a matching washbasin. This luxury bath is made in solid cristal plant resin. This luxury bath is made to order, please allow approx. 6 weeks. A solid stone bath made in 1 piece of marble. This marble bath is made to order to the customers required dimensions. 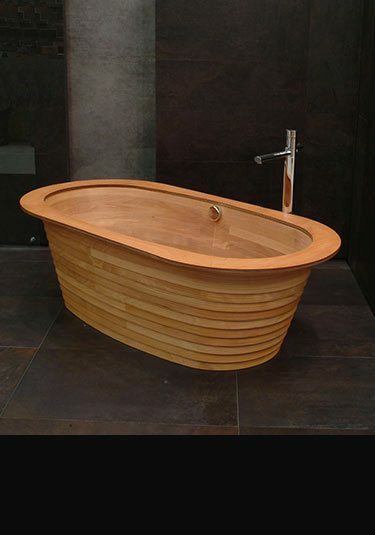 A unique timber bath made using traditional boat building techniques. Manufactured in mainly solid beech wood this bath is a luxury design feature to any bathroom. 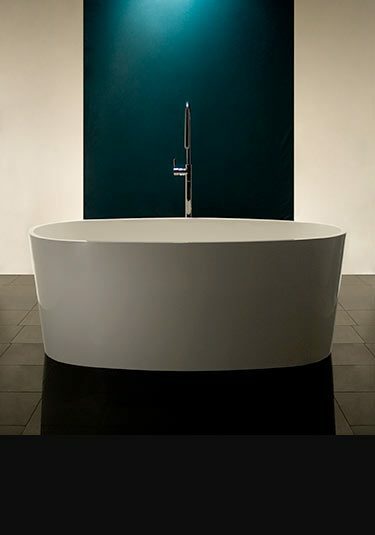 Freestanding baths UK suppliers Livinghouse offer a huge collection of high quality contemporary baths. Made in superior rigid stone resin, these resin baths are deemed to be the best quality material for a luxury freestanding bath and a minimum requirement for design led and high end bathroom design. Livinghouse offer a beautiful range of stylish contemporary freestanding bath available in many exclusive and luxury designs. 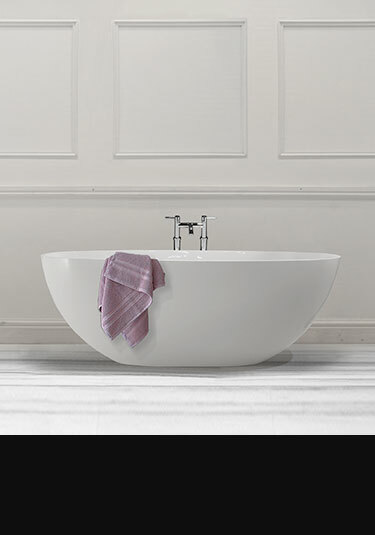 Included within this stand alone baths range we have oval baths, egg shaped baths, square baths in 1500mm, 1600mm, 1700mm and 1800mm sizes, plus impressive round freestanding baths in 1200mm and 1500m diameters. 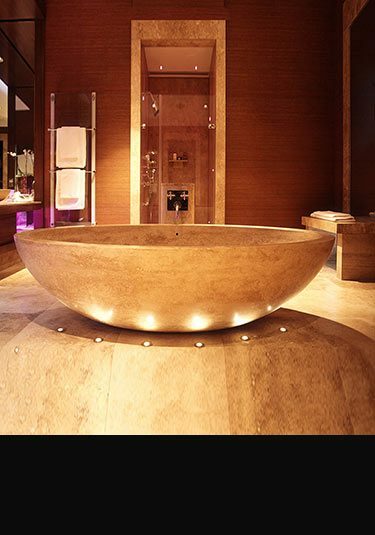 These circular baths make a beautiful design feature bath within designer and luxury high end bathrooms. We are now offering coloured baths in red, cream and black with bespoke colours available and therapeutic freestanding spa baths with 16 jet air systems for allowing massaging and relaxing luxury. Within this modern bath range we can supply small freestanding baths that are only 1500mm long as well as large baths for the bigger bathroom. Whatever your bathroom style, Livinghouse will have a luxury freestanding bath to suit, in a small, medium and large size to fit. 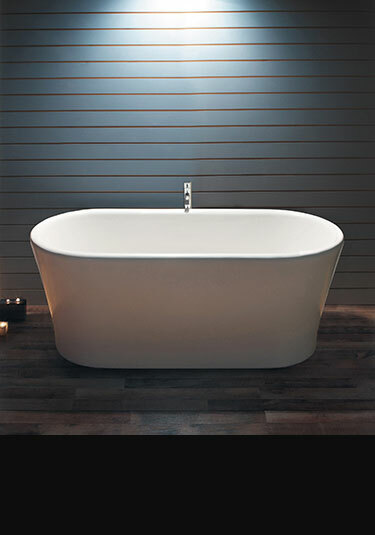 Under normal circumstances all our designer baths are supplied from stock for a quick delivery.